These are all explained further below with some clear examples so that your question of "What is a Credit Card Balance" will be answered. But first of all, let's go through where a credit card balance is found. where is a credit card balance found? It is usually found in a section called Account Summary which might be at the top, side or bottom of your printed statement or online screen. Every credit card company lays out their account summaries differently and may even use different words meaning the same thing. Some will only show a simple, two-lined summary and others four or five lines to show more detail. They also all have different dates for their billing cycles - which just means they include all charges and payments that fall within those dates, and a resulting balance on the last date. For example 3 Jan to 3 Feb, or 12 Jan to 12 Feb, or 5 Jan to 5 Feb... you get the idea. The billing cycle is usually one month long. Looking at your latest statement or online login, you will see an Opening Credit Card Balance. This is the amount that you owed to the credit card company at the end of the previous billing cycle. 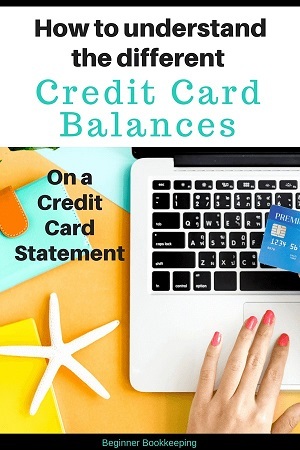 If you did not spend any money in your last billing cycle and if there were no fees from the credit card company, then your Opening Credit Card Balance may be a value of $0.00- always a good thing! The Opening Balance on the current Statement should be the exact same amount as the Closing Balance on the previous Statement. The Statement Credit Card balance is the same thing as the Closing Credit Card Balance. It is the amount that you owed to the credit card company at the end date of a billing cycle – the date that the statement closed on. The Current Credit Card Balance will be the amount you owe to the credit company at the date that you are looking at your credit card information. all transactions that occurred between April 3rd and April 14th. As the current cycle is not yet finished, the system will use the statement balance that showed on the last official statement you got, which was for the cycle ending April 3rd. The available balance tells you how much you have available to spend on the credit card before you reach your credit card *limit. This balance is calculated by taking the Closing (or Current) Balance away from the limit amount. In the visual below, the Credit Card Limit is $1,000. If we take the Closing Balance of $650 away from the Limit amount, we are left with an Available Credit Card Balance of $350. Now you have $350 to fly across the country to visit your mum and give her an awesome bouquet of flowers for Mother’s Day! *When you apply for a credit card you must choose a maximum limit that you can spend on the card (or the credit card company will choose the limit for you based on your credit history.) If you credit history is good they will give you a higher limit, it it is not good you will be given a lower limit. I recommended getting a low limit to avoid a huge debt. If you have a credit card, then it means you have a credit card account with the credit card company to which your credit card is linked. Just the same as when you have a bank card that is linked to your bank account. An account balance on a credit card is the same as the closing credit card balance or the balance that your credit card is carrying (carrying is explained below). It might be described as an Account Closing Balance. Your credit card account will have an account number which will probably be displayed somewhere on your statement. The account balance is the amount of money you owe to the credit card company on your account with them. A good credit card balance is one that is $0.00 zero dollars because then it means you owe the credit card company no money and it means you are not in debt. A low credit card balance like $50.00 is better than a high credit card balance like $4,900.00 because it should take you a very short time to pay back the $50 to the credit card company, but it may take you a very long time to pay back the $4,900 causing you a heap of stress. On top of that, your interest charges by the credit card company will be high every month for such a big balance due. Interest is, after all, how they make money out of you. One good thing about paying off a high credit card balance is that, if you pay your minimum amounts due every month without fail, it may help your overall credit rating (a credit rating affects your accessibility to future loans or mortgages). So don't skip any payments! 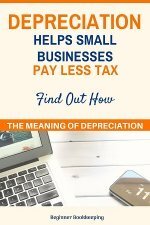 You should try to pay more than the minimum amount because the minimum amount may barely cover the interest you are charged and then you'll 'never' get out of debt with the credit card company. A negative credit card balance is a good credit card balance because it means you owe nothing to the credit card company, and they in fact owe you the amount showing as a negative. You either overpaid your credit card account, or you paid your account accurately but then received a refund from a vendor/supplier. A negative balance will show up with a minus sign in front of it, or it may be in brackets. In our example below the negative is in red, but this is usually a shade used in accounting and will probably be in black on the credit card statement. To carry a credit card balance means that you have an amount on your credit card that you owe to the credit card company and must pay back to them. A carried credit card balance is the same thing as a closing credit card balance, statement balance or current balance. The money in and money out transactions affect the credit card balance differently to how they affect a bank account. 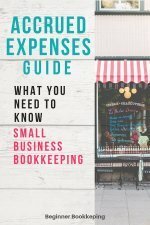 Go here to our Expense Form Template page and scroll down to the heading 'What is Credit Card Balance' where the affect is explained in more detail. 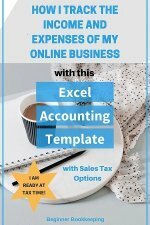 If you run a small business and want to use Excel to track expenses and payments on a credit card, you can use our free Excel template called Expense Form Template which has been designed specifically for use with credit cards. That way you will always have an answer for 'What is Credit Card Balance', and you get to see a profit and loss report based upon these credit card transactions.